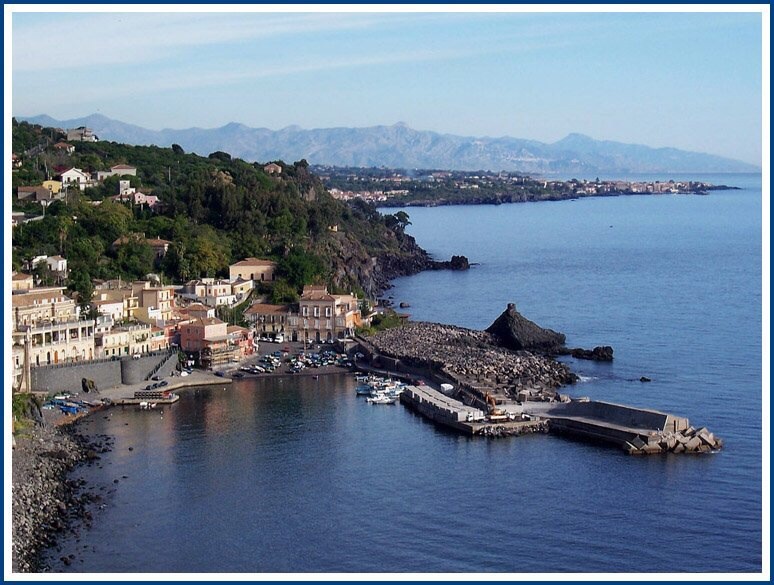 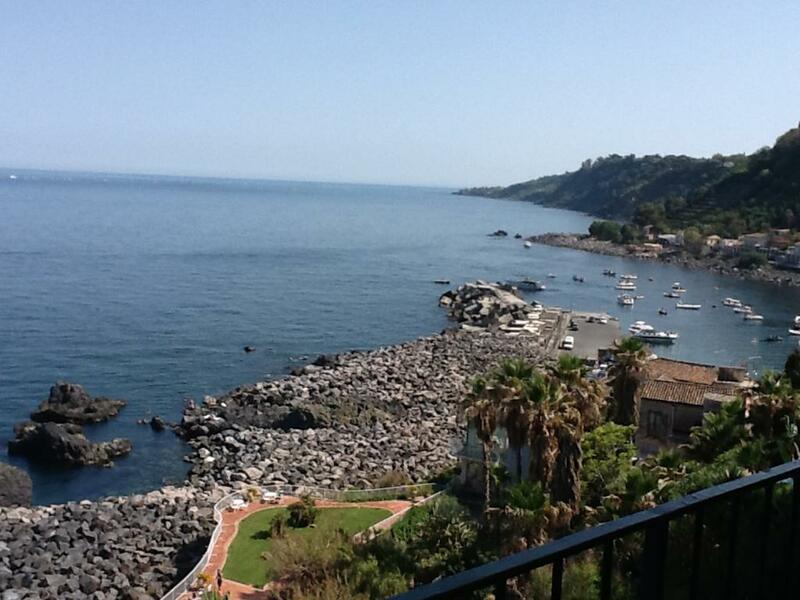 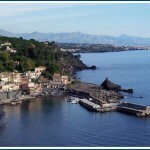 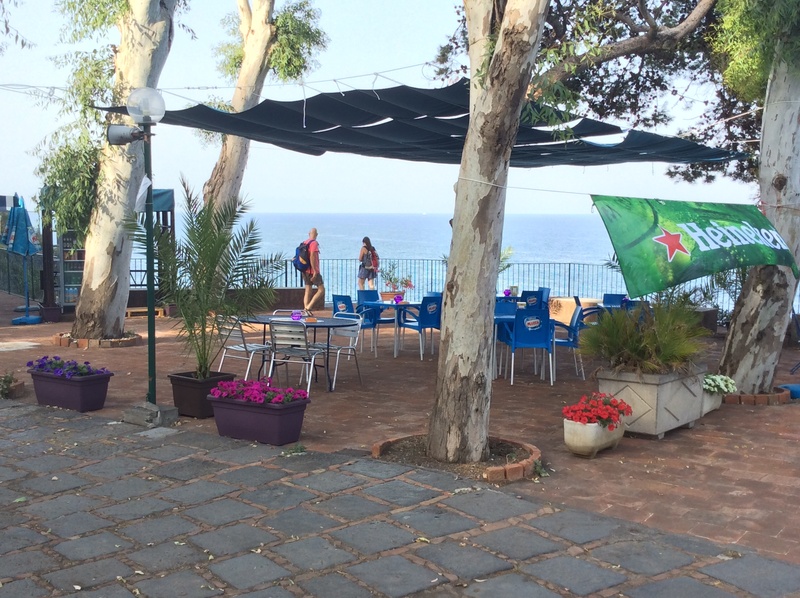 Overlooking the sea of S.Maria La Scala, a picturesque village belonged to Acireale, it was the first Campsite to be created in this area. 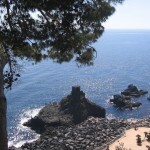 It is the best for its extraordinary location. 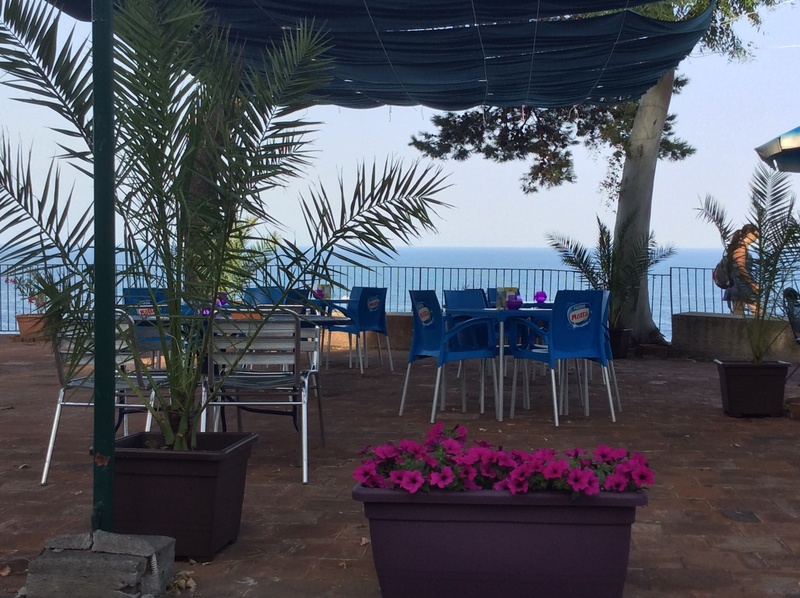 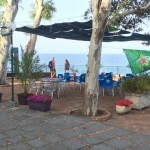 It is situated in an area of natural beauty and peaceful ambiance and is dipped in a splendid garden with lemon trees and typical flowers of the Mediterranean. 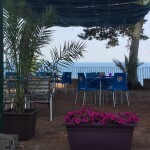 Several terraces at different heights offer you an enchanting view of the coast, from Syracuse to the Calabrian coast, in the shadow of pines and eucalyptus making the air healthy. 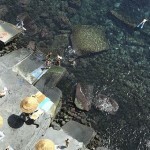 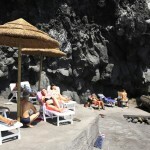 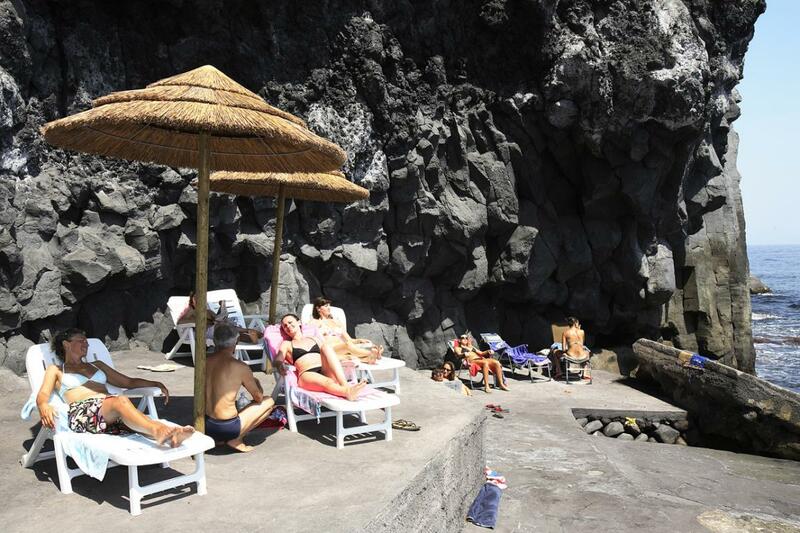 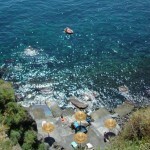 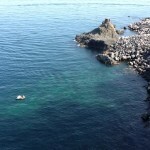 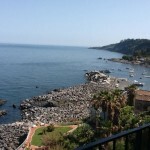 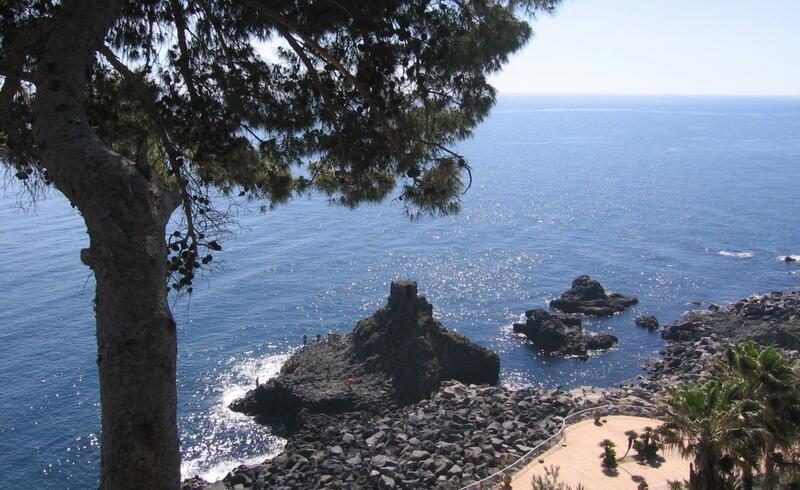 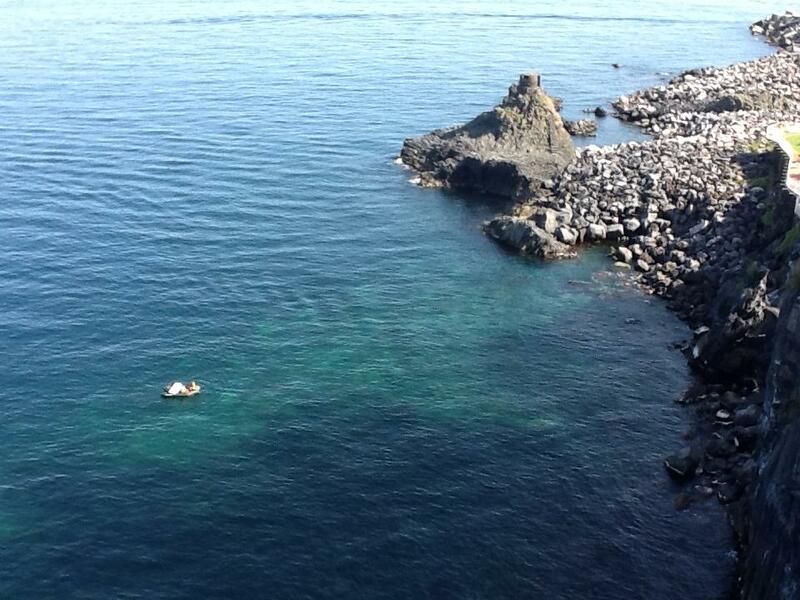 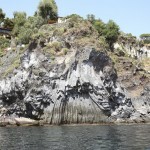 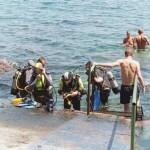 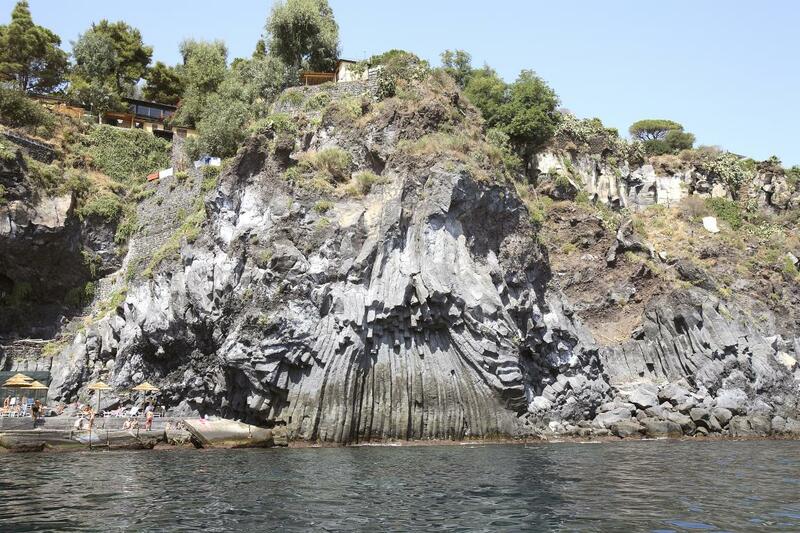 From the panoramic terrace (40 meters from sea level) you can take a LIFT dug into the lava cliff to reach our private rocky beach, near to the well-known “Cave of doves” in the crystal clear sea full of fish.